Something a bit more recent…Puffin Post Number 7 – Autumn 1985! 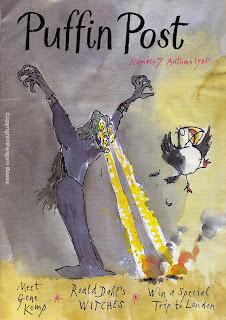 This is one of the better covers that came with the re-branding in the 80’s – a great cover by Quentin Blake. I’m afraid this cover got some water damage, hence the creases (Too much to restore this time round without messing up the ink-wash artwork). The inside of these felt a bit disjointed, maybe due to a loss of a house stylist to guide the way. Jill McDonald’s graphics still appear throughout the magazine – old echoes of earlier times. The other big change – and a big mistake in my opinion – was the change in size from A5 to an awkward A4! Why?? 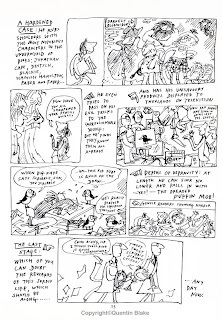 Here’s a fabulous double page from Quentin Blake that illustrates the slightly off-beat humour that ran through the club. It’s wonderfully subversive. I love his Puffins – they are more acerbic than Jill McDonalds, but still have the same questioning spirit. 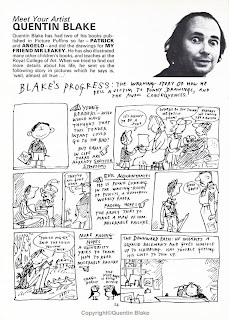 To make up for it, here is a Quentin Blake cartoon that was destined for one of the Puffin Annuals. 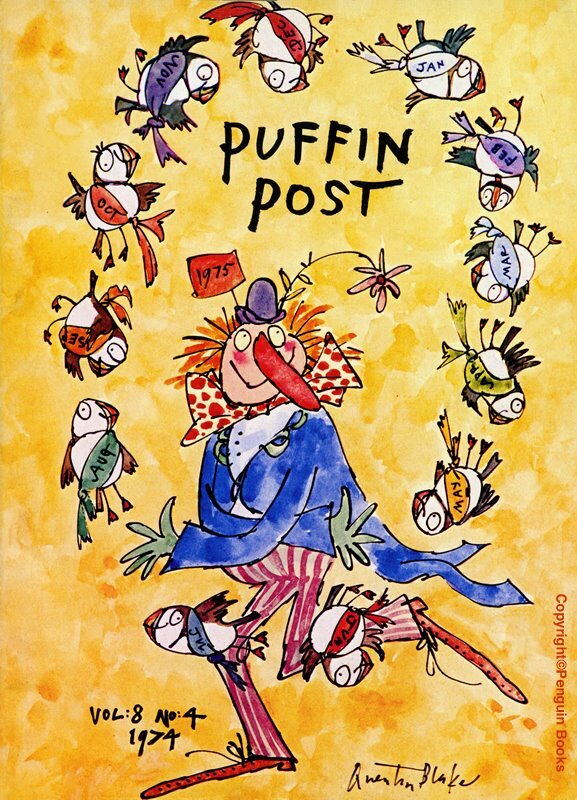 Sadly, there just wasn’t enough room, but it was printed in the pages of Puffin Post – never to be seen again!!! 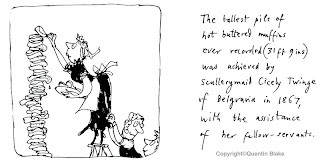 Professor Blake did many cartoons and mini strips for the Puffin Club and was almost as much a part of the visual personality of the club as Jill McDonald. The contrast in styles had a cross-over in their humour and (again) the surreal side of their narrative.